Earn $3.39 in Rewards credit (339 points) What's This? An ideal Truing Stand for the home mechanic short on space. 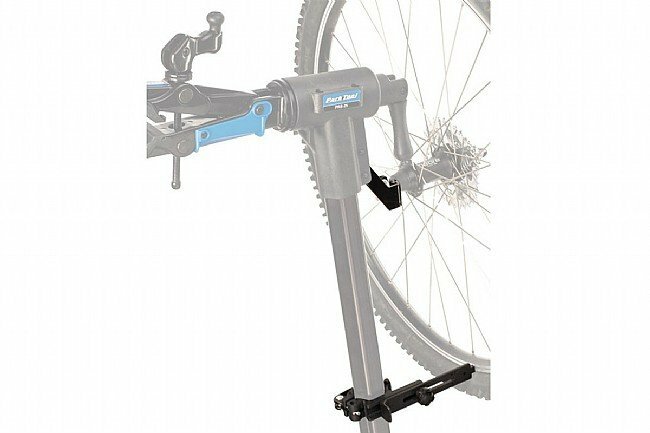 The TS-25 mounts to your Park Tool Repair Stand and accommodates any virtually any wheel with a quick release or threaded axle. 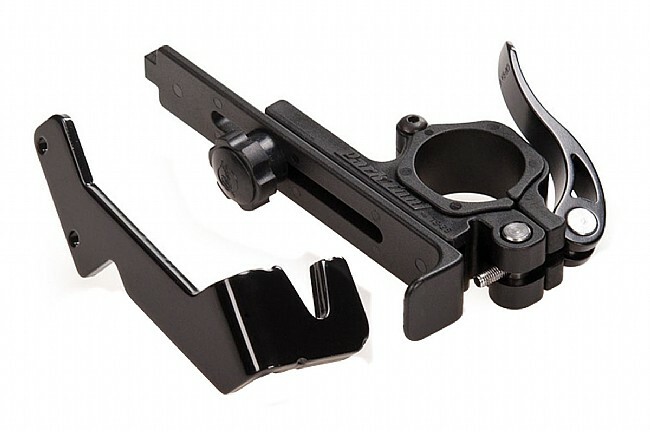 The adjustable design offers accurate measurements with practically any rim diameter or width. Installs and removes in just a few seconds. For use with PRS-25 and PCS-10 Repair Stands. Also fits the PCS-1 and PCS-4 Repair Stands when used with the adjustable height extension. So you just bought that repair stand you wanted. Next thing you know, your taking that repair stand to events of all sorts. But when your checking things, you'll notice that somewhere somehow your friend's bike or your own has a wheel that is out of true. That is when this little truing stand really shines.